Rihanna continues to enjoy some vacation time, as new pictures from her home country of Barbados have surfaced. Oprah Winfrey sat down with Rihanna over the weekend for an interview that was filmed as part of her “Oprah’s Next Chapter” series. 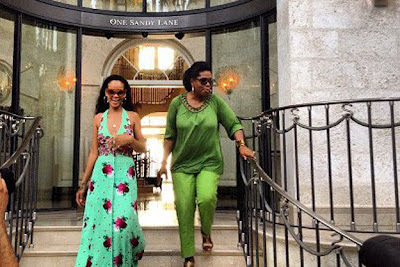 Following the session, Oprah tweeted a photo of the two leaving a resort on the island, writing "@rihanna and I finishing up interview. What a refreshing surprise she is!" 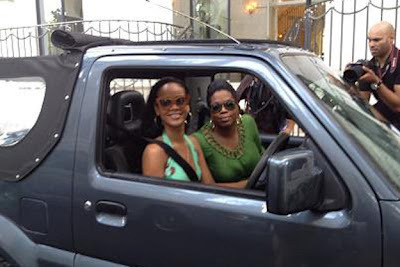 The big O also tweeted a picture of the two in an SUV, writing, “Look who’s driving me around Barbados!” – Rihanna posted the same picture, with the caption, "Look who popped up in my Hometown BARBADOS #topnotch."